Great campaigns have lots of things in common, but they’re not the things we’re often taught. 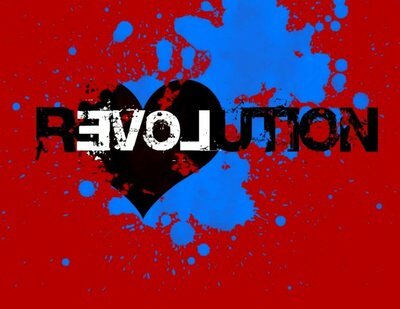 Credit: http://beforeitsnews.com/spirit/2012/04/revolting-society-2062094.html. All rights reserved. When I was young I got involved in campaigns because I was passionate about them. But when I became an NGO professional I was taught to be much more focused on realism, cool-headed analysis, and the careful assessment of strategies. What matters, I was told, is what works. So in that spirit, I’ve been talking to five leaders whose campaigns have definitely succeeded in order to find out what it was that really made the difference. Jay Naidoo led the South African trade union movement’s struggle against Apartheid; Ann Pettifor headed the Jubilee 2000 campaign to cancel third world debt; Lilian Njehu worked alongside the Nobel Prize winning environmentalist Wangari Maathai in the campaign to save Kenya’s forests; Kumuti Majhi is a tribal leader form Niyamgiri in India who defeated the Vedanta corporation’s plans to mine his people’s land; and Peter Tatchell has helped to bring LGBTQ rights to centre stage and secure a series of victories for equality. As each of these campaigners were at pains to point out, all successes are partial and impermanent, and no victory is won by one person alone, but nevertheless these are winners. They are all different, but they do have lots of things in common. It’s just that they’re not the things that I’d been taught. Mahji shared that what drove his community was the “determination to protect our ‘motherland’ for generations to come.” Pettifor said something similar: “as someone born and raised in Africa, I was deeply invested in the campaign, believing it to be one of moral, economic and social injustice. That conviction drove me on. Although I am not religious, I had deep faith that with commitment, and in community with others, righteousness and justice would prevail.” Njehu described how her group’s “faith meant we could not fear death.” These are phrases that are hardly ever used in standard training for campaigners or reports about what works. Thirdly, what brought victory was not individual smarts but collective strength. As Naidoo explained, the power of mass mobilization and popular organization is also vital. “To bring change, we organized, factory by factory, street by street” he said, to “build around people's priorities and to find their priorities by asking.” Njehu emphasized how success was rooted in being “a grassroots movement, built up from ordinary women fighting for their families, saving the wood they need for cooking for their children, saving the land on which they depended. It was their felt need.” People power was central to all these victories, and central to people power was unity. Mahji described a village meeting where company officials “tried to purchase our people by providing meat and liquor, but not a single person spoke in favour of the company.” Likewise, a protest planned by Pettifor and her colleagues outside the G8 meeting in Birmingham in 1998 looked like it might not attract many people after the UK government tried to put them off with the message “that the G8 leaders would instead spend that day in a castle miles away. But suddenly as I stood outside Birmingham Station I saw thousands of supporters pour out. The government tactic had failed, and the Prime Minister was obliged to return to Birmingham to meet with the representatives of the 100,000 Jubilee 2000 supporters.” Lobbying, however smart, is only ever effective when matched by direct action by substantial groups of determined people who stand together, shoulder to shoulder. Fourth, all five refused to have the campaigns’ agendas shaped by donors even when this meant that they had to work with very meagre resources. As Njehu put it, “when donors came to us to change our plans we said we won’t take your money because we don’t want to follow your plan.” “Money is important,” she added, “but it can’t change your idea. You can campaign without money if people understand it as their campaign. If they don’t see it as their problem you can’t give them money to understand it as their felt need.” Naidoo warned that an increasing focus on donors is already weakening many social justice organizations: “Now is the moment of truth for social movements, trade unions, progressive forces and NGOs. They have to break with the conservatism and bureaucracies that have made them bystanders in this grand clash between overwhelming majority and a tiny, insulated class of super-rich,” he said. Overall, if campaigning for justice is a social science, then these lessons suggest that it’s 'less science' and 'more social.' Each of the successful campaigners’ stories revealed that they had tapped into something deeper, something more profound, and worked to harness it for change because, as Angela Davis once put it, "I am no longer accepting the things I cannot change. I am changing the things I cannot accept." Through their wisdom they have helped me to rediscover the spirit I had been taught to let go.